The Aaron Equipment Company Shop is located onsite at our headquarters near Chicago’s O’Hare International Airport in Illinois. 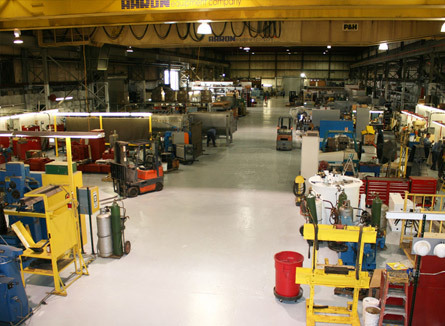 Encompassing 100,000 square feet, the Aaron Shop is capable of Testing and Complete Reconditioning of most items in our inventory. 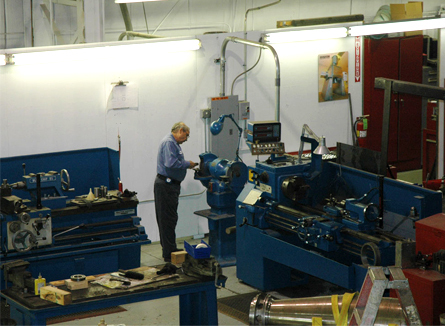 The Shop is equipped with multiple cranes that are capable of handling up to 30 tons of machinery. Of that expansive space, it is also climate controlled, ensuring an ideal temperature and humidity environment while the equipment is being serviced. 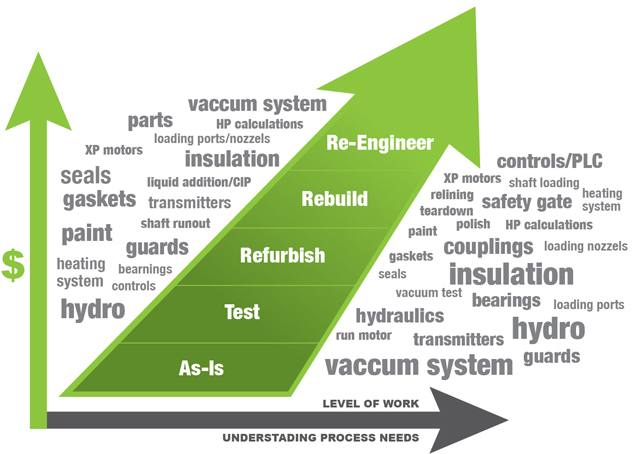 *All work above the level of refurbish will require a machine hazard analysis (safety evaluation). This can only be determined when considering the application and intended use of the equipment. In addition, to understand the design details such as which elastomers to use for gaskets and seals or what HP is sufficient. We need to understand the chemicals in the process, chemicals used in cleaning, solids and liquid loading, discharge, solids bulk density, viscosity and motor classification. This is no different than the process for new equipment applications. Provide information concerning the performance of the equipment, problems and maintenance records. Explain what the equipment was originally designed for, what is it now used for and what the future process will be. Help Aaron understand your application. After teardown and inspection of the equipment, Aaron will provide a detailed report describing the wear and damage, causes if ascertainable and what is proposed for the repair. 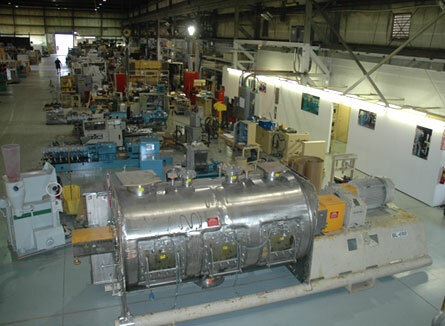 The time to complete the rebuild will be included along with terms and conditions, and the total cost.